In ancient folklore, honey bees were believed to be bringers of wisdom and good luck. In addition, because they work all day long, they are associated with hard work and diligence. No matter how mythical these beliefs are, there’s no doubt the hard work of honey bees brings us honey, and pollinates one-third of our food supply. Thank the honey bee this week for guiding you through finals week. Good luck, students! Scientists suggest that consuming foods with high amounts of tryptophan can help you sleep and relax your nerves. It is believed that honey contains tryptophan. Good rest and sleep are essential for memory and higher functionality. 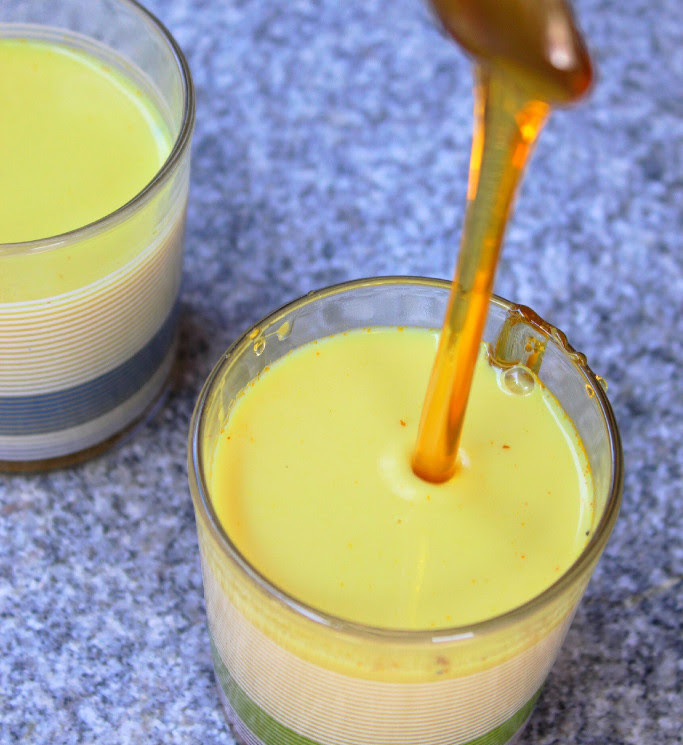 Have a warm drink before bedtime with this Honey Golden Milk Recipe. Combine the milk, honey, almond butter, vanilla extract, cinnamon, turmeric, ginger, and any optional spices in a small saucepan. Heat over medium until warmed through, whisking briskly so that the almond butter does not stick to the bottom and the spices incorporate. Remove from heat before boil.